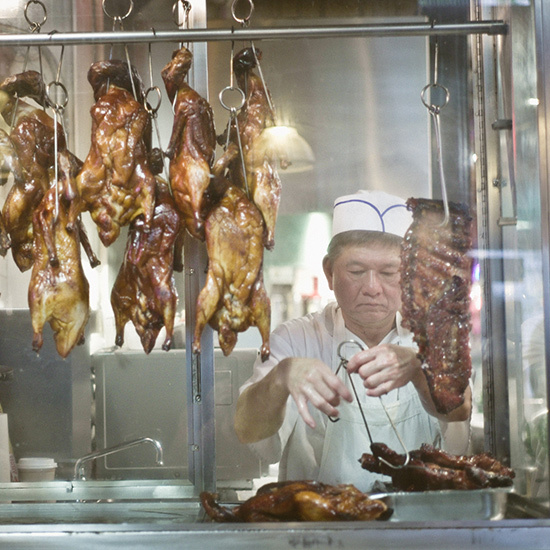 Local photographer Neal Santos captures the food obsessions of his city, from roasted pork sandwiches to expert cocktails. 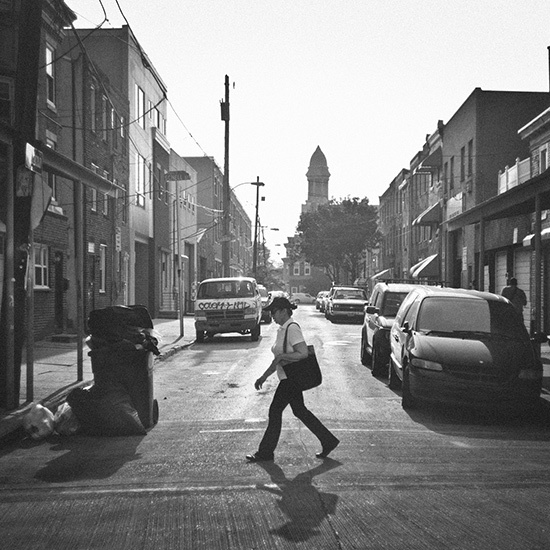 Follow Neal on Instagram @nealsantos and on Tumblr. 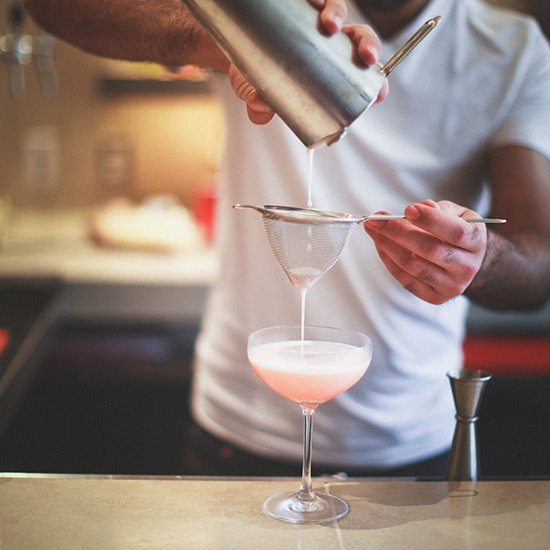 Read about his Philadelphia hot list. 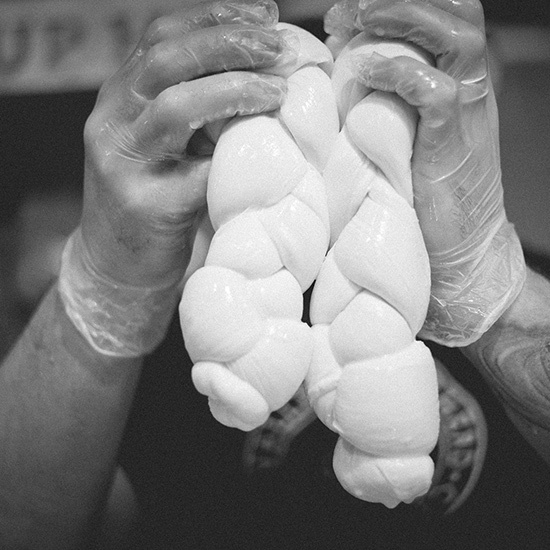 There's real local flavor to be discovered here, and it's all at the hands of talented farmers, growers, bakers, makers and chefs. 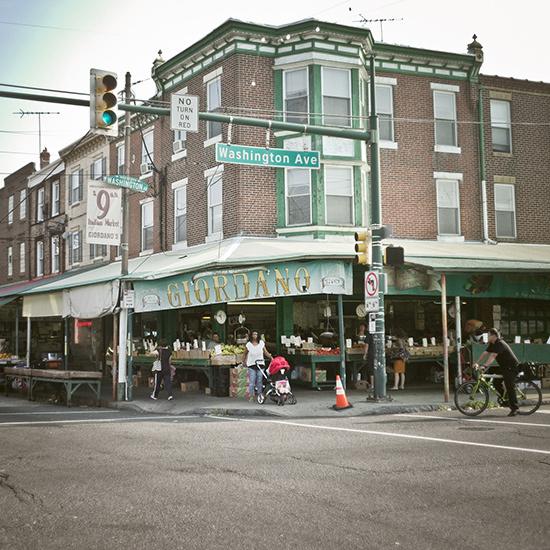 The Italian Market, on South 9th Street in Philadelphia, is known for its old-school charm. 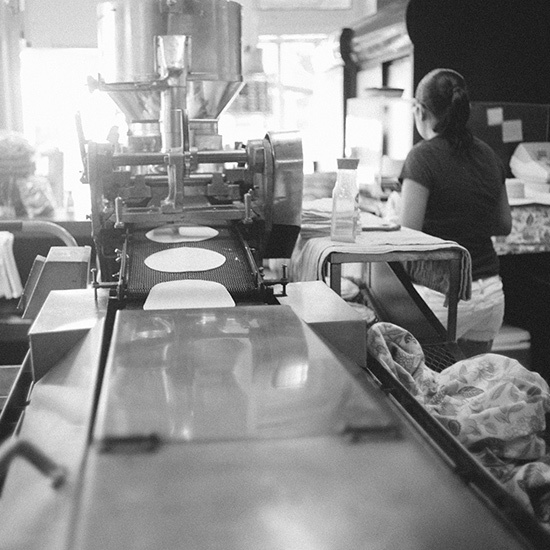 In the colder months, barrels of burning cardboards and paper keep merchants and customers warm. 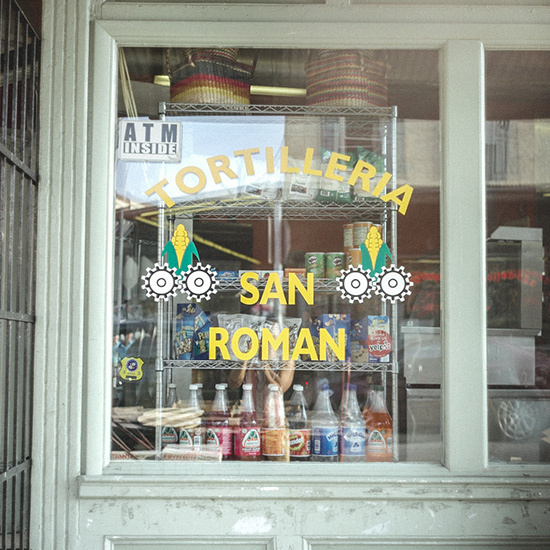 With the influx of a large immigrant population, you can now buy anything from fresh corn tortillas to pasta, seafood to whole roast pigs. 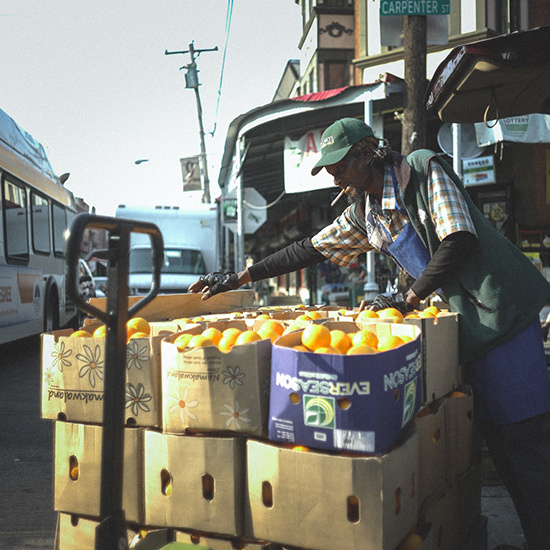 A fresh fruit shipment at the Italian Market. 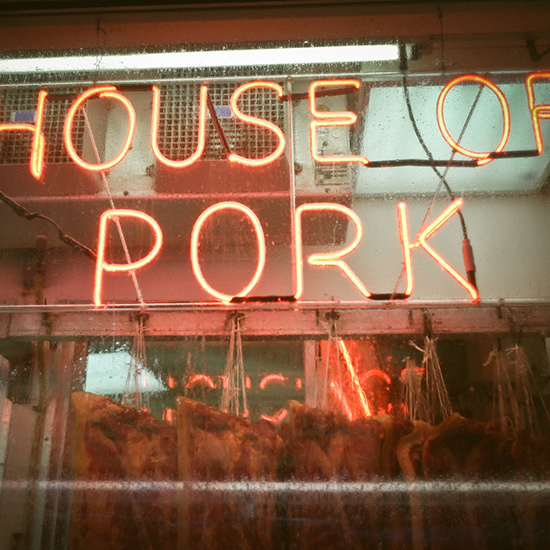 Cannuli's Meats still goes by the nickname "House of Pork." 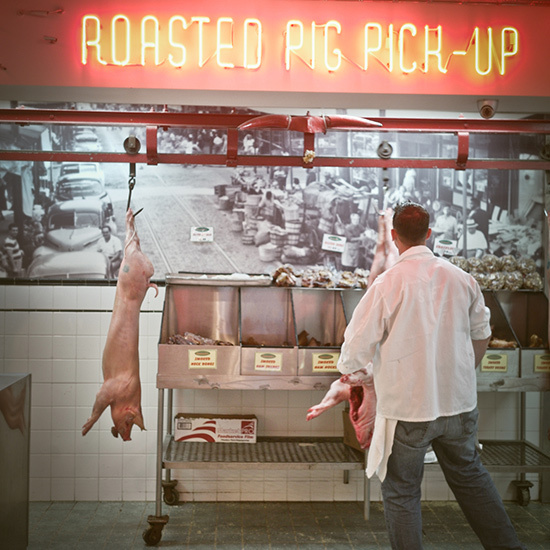 Cannuli's specializes in whole roast hogs. 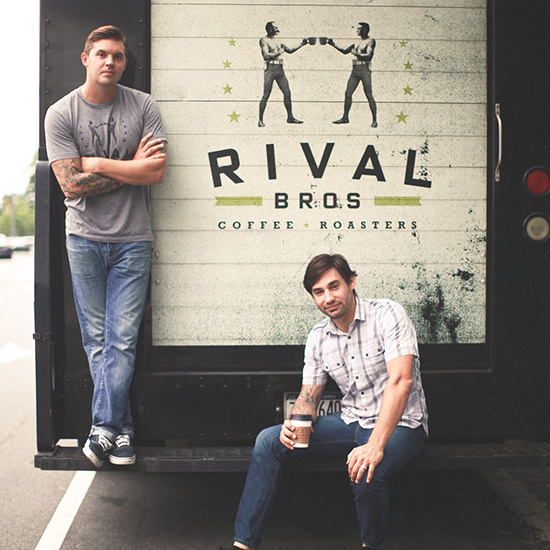 Rival Bros. is a small-batch roaster launched by Jonathan Adams and Damien Pileggi. 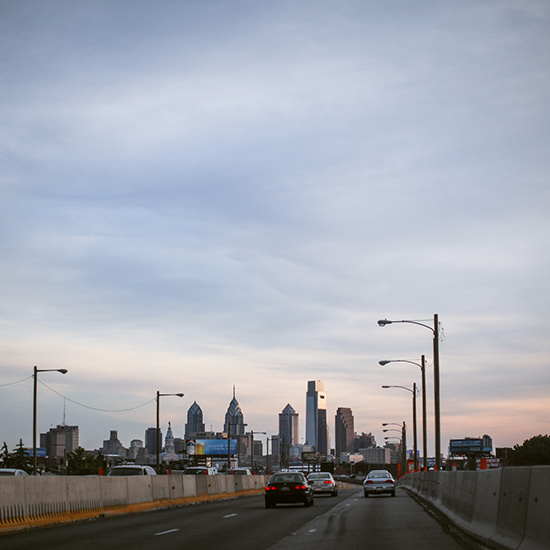 They operate out of an impressive truck that's usually stationed in University City but also roams throughout the Philadelphia area. 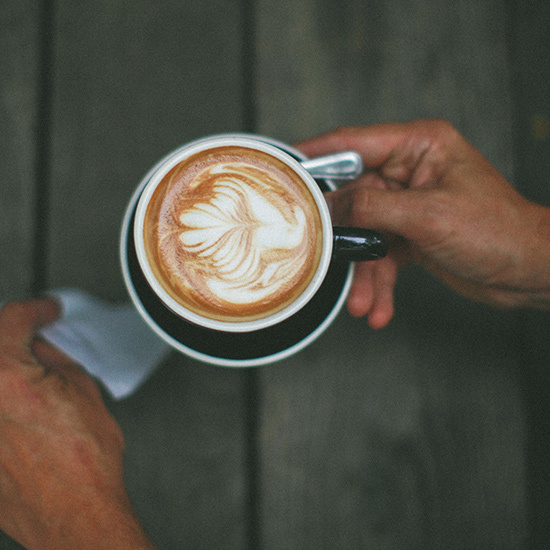 Rival Bros serves high-quality, delicious coffee with a down-to-earth style that feels distinctly Philadelphian. 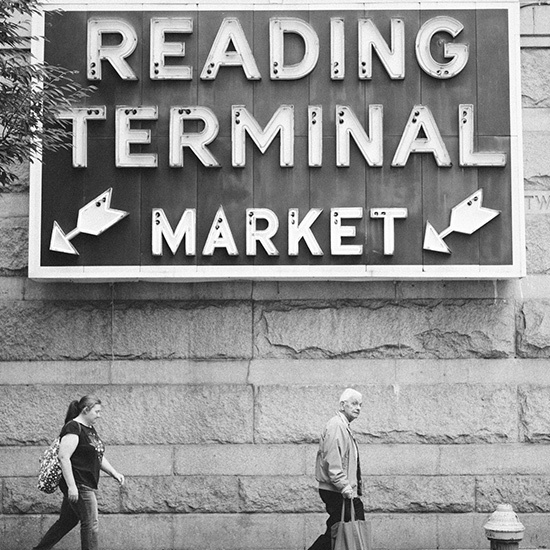 Reading Terminal Market is home to an eclectic array of vendors selling everything from Amish baked goods to Chinese roast duck and fresh mozzarella cheese made right on the premises. 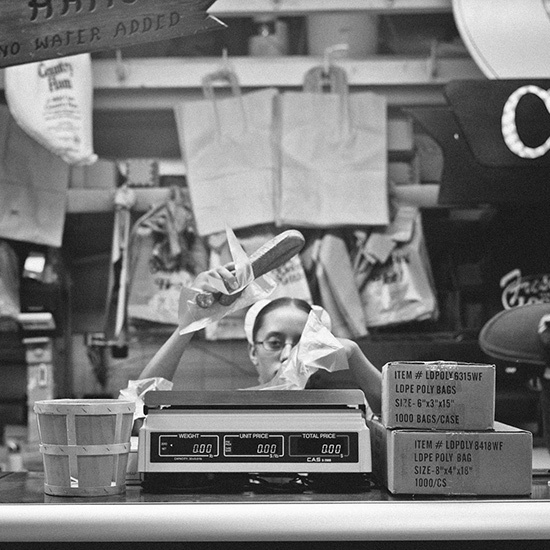 A Pennsylvania Dutch vendor: L. Halteman Family. 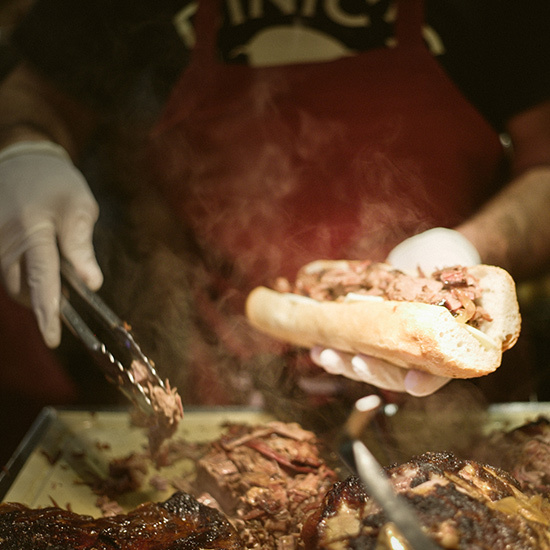 My favorite order at Reading Terminal Market: DiNic's roast pork sandwiches. Wyebrook Farm is located fewer than 50 miles from Philadelphia's Center City. 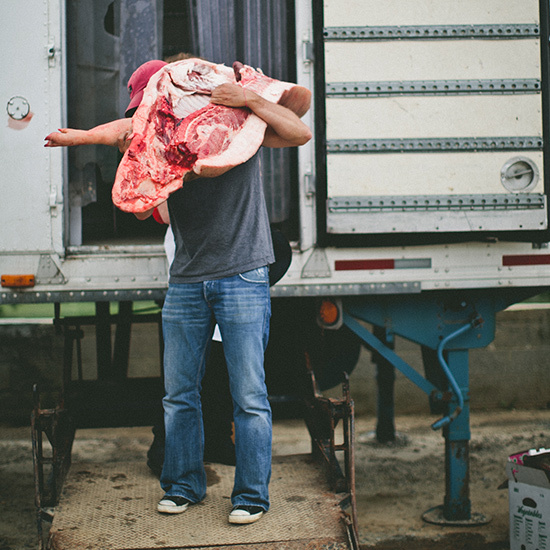 Owner and farmer Dean Carlson raises grass-fed beef, pastured poultry and heritage breed pork. Here, Carlson carries half an Ossabaw Island hog carcass to the kitchen for butchering. Later, the meat will be served at the on-site café or delivered to restaurants and markets in Philadelphia. 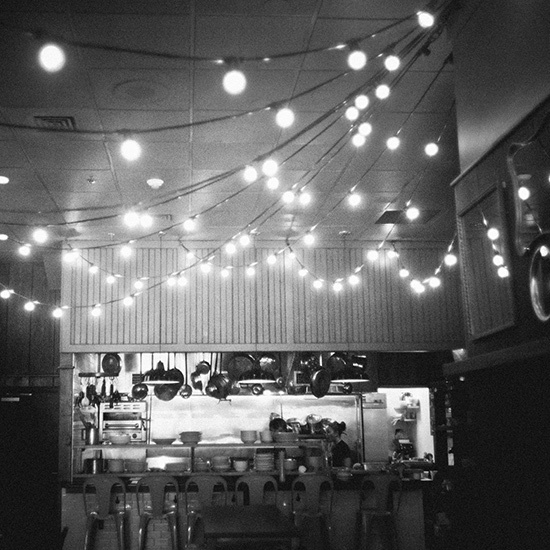 Chef Josh Lawler's Farm and Fisherman uses Wyebrook Farm's meat and poultry. 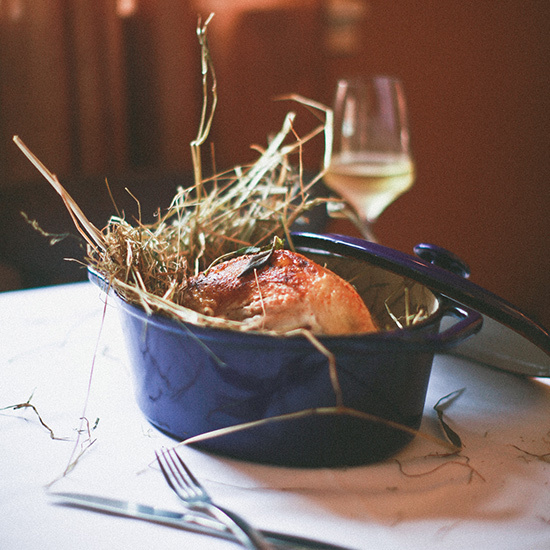 Here, the restaurant's chicken baked in hay. 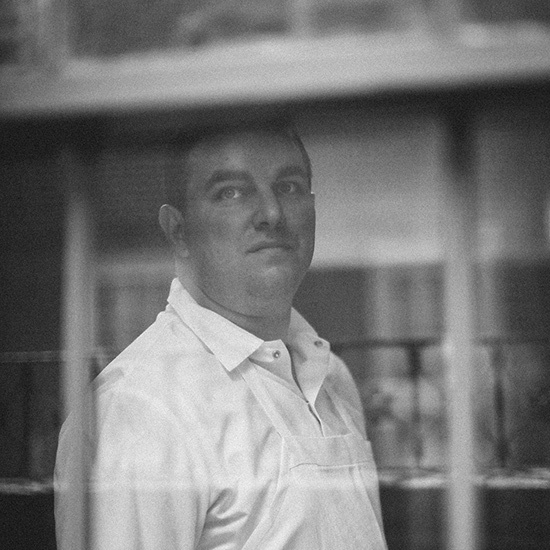 The Farm and Fisherman's chef Josh Lawler. 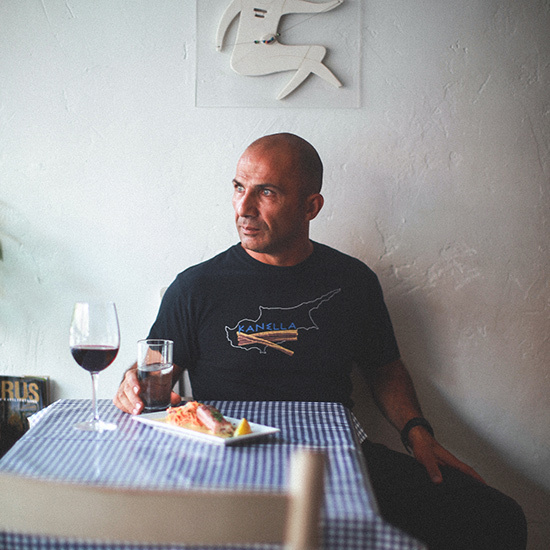 Chef Konstantinos Pitsillides serves incredible Greek food at Kanella, a small BYO restaurant in Philadelphia's Washington Square West. 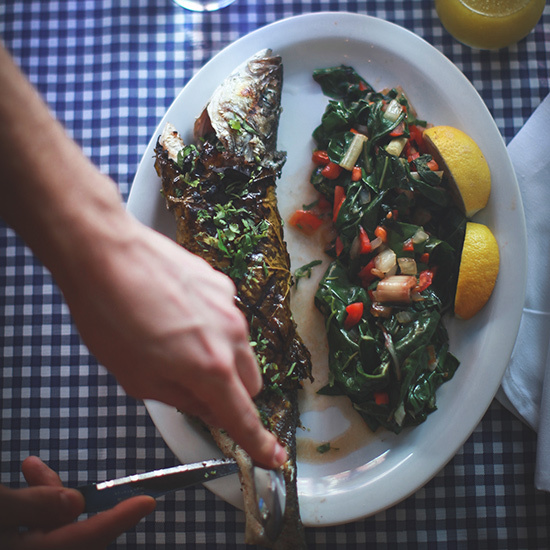 Kanella's whole fish of the day with sautéed greens. 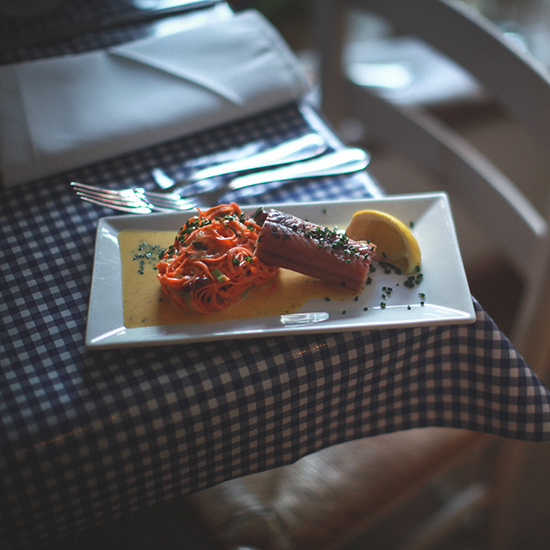 House-smoked eel served with Middle Eastern carrot salad at Kanella. 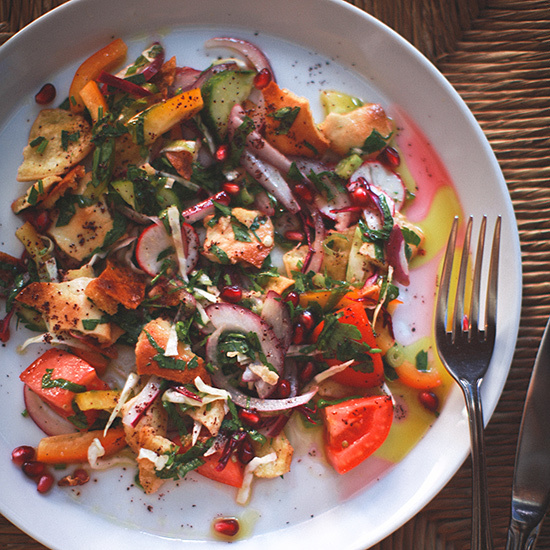 Fattoush salad with pomegranate at Kanella. Empire builders Marcie Turney and Valerie Safran continually rock Midtown Village with their growing number of small, popular restaurants. 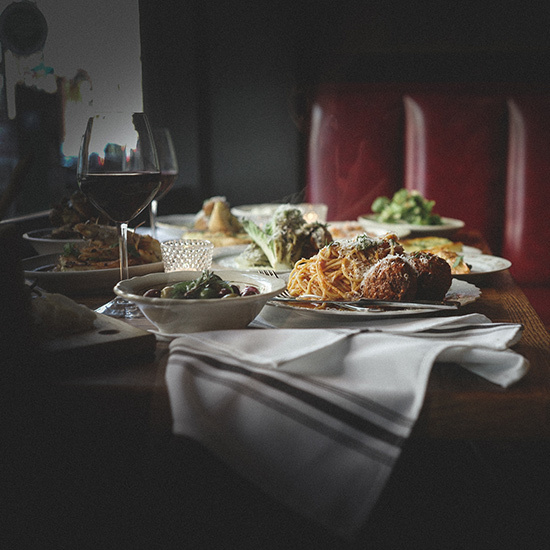 Their latest is Little Nonna's, which has a charming ambiance dedicated to Italian Americana as well as Turney's delicious food. 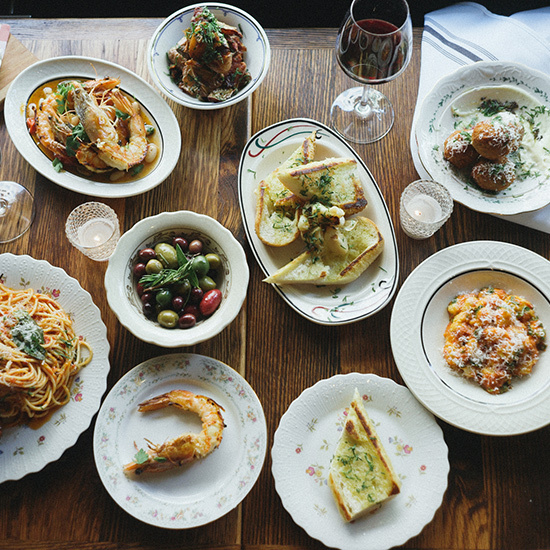 Shown here are heads-on shrimp scampi, garlic bread, an antipasto board, a shaved salad, and spaghetti and meatballs. 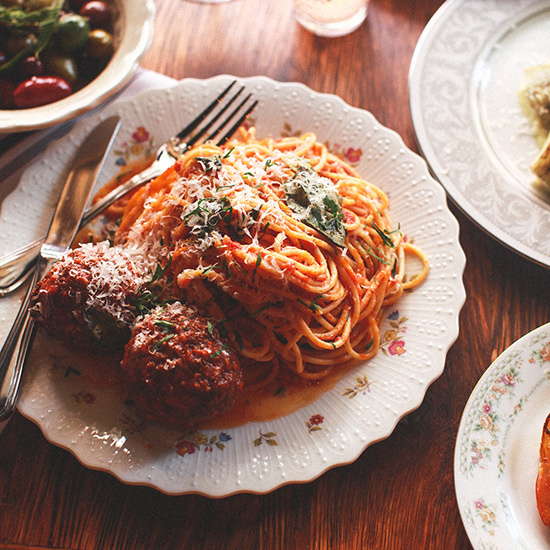 A close-up of Little Nonna's spaghetti and meatballs. Happy hour is a sport in Philadelphia. 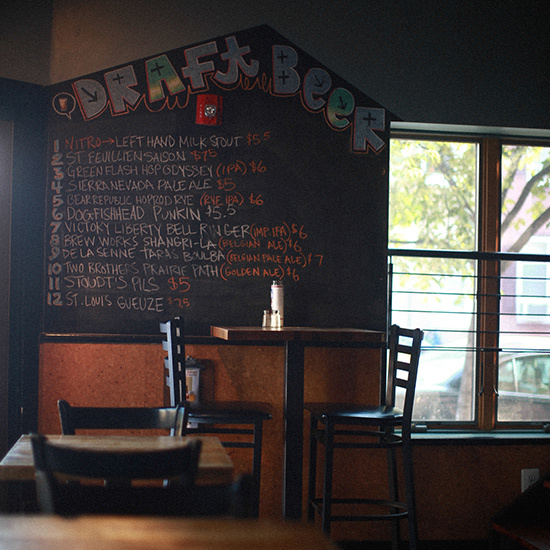 The Sidecar in Graduate Hospital is my go-to joint for bar food and drafts. 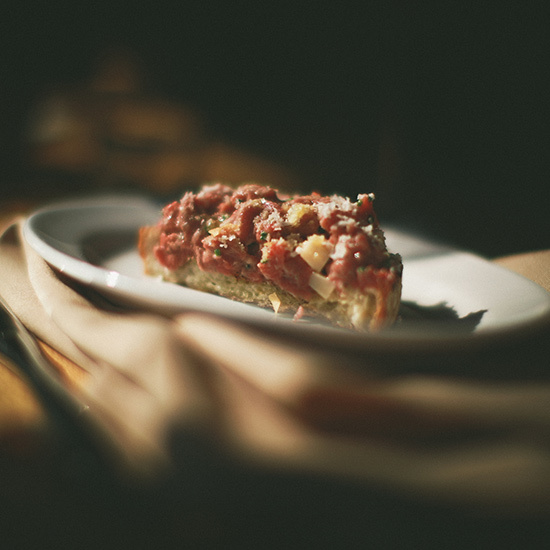 Vernick Food and Drink, an exceptional place tucked off Rittenhouse Square, has a whole menu section dedicated to "On Toast," including this great beef tartare with fresh horseradish. 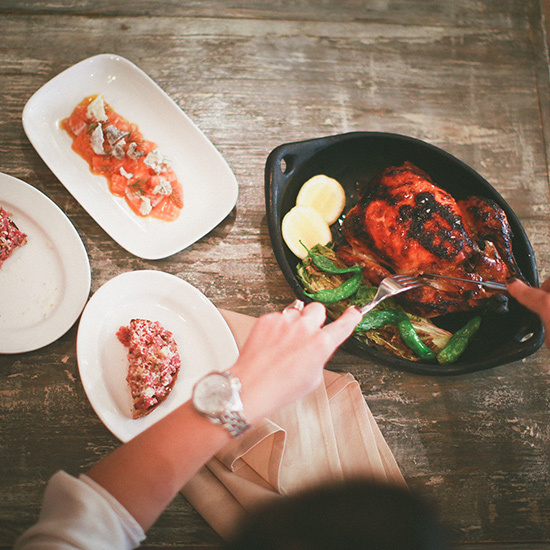 Vernick also does a wood–fire oven roast chicken, available by the half or whole.